As industries evolve and markets transform, it is essential to reach beyond traditional investment analysis and think about the white space between asset classes, sectors, geographic regions, and investment teams. 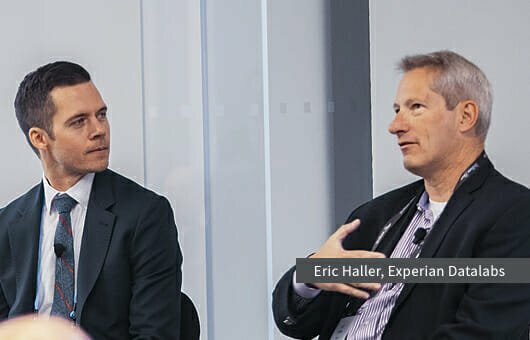 Experian provided examples of how credit information services are using big data, artificial intelligence, and machine learning to create innovative customer solutions. Companies such as Experian receive a substantial number of product ideas per year, with many coming from clients. Ideas currently focus on growth rather than risk mitigation. Individuals’ data can be “clustered” based on what they buy; banks can use this data for targeted marketing purposes, following “know your customer” regulations, and reducing fraud. In select countries, you can now obtain credit via text message; the credit application process is also being streamlined with instant form fill, improving the customer experience and making it easier for individuals to gain access to credit. 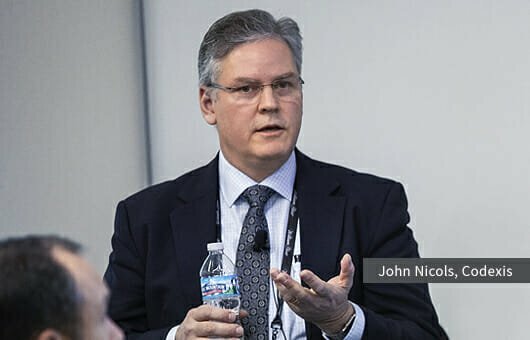 A panel of institutional investors discussed the challenges they face in the current market environment and portfolio strategies they are implementing to address these concerns. If equity markets decline in response to rising interest rates, the fixed-income asset class may not provide sufficient downside protection. One investor has diversified by increasing allocations to lower-volatility alternatives. 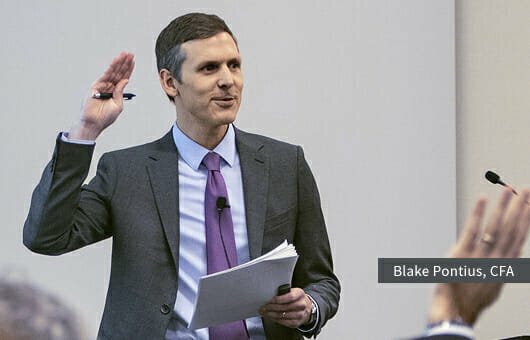 While it’s challenging to manage systemic risk, one institutional investor focuses on aligning organizational goals, cash flows, and liquidity—and keeping dry powder available for unique opportunities. The market may be complacent about systematic changes that could impact reversion to the mean and historical valuations. Speaking of valuations, one panelist believes that emerging markets and greater China appear interesting. 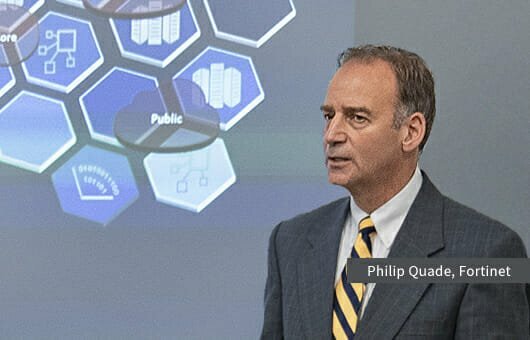 IT security solutions must adapt to protect informational assets, says Philip Quade, chief information security officer of Fortinet and former chief of the NSA Cyber Task Force. 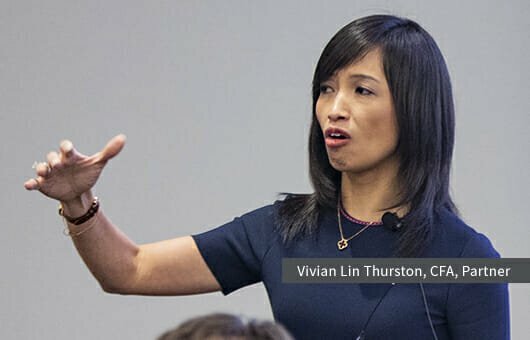 The increasing digitization of businesses is driving a massive escalation in data production, and more data means more opportunities for hackers, with almost any type of information representing a potential target (such as credit card numbers, healthcare records, and intellectual property). Given increasingly creative social engineering and phishing tactics, an attack doesn’t have to be sophisticated to be successful, and it takes only one breach to create impactful damage. To adequately address today’s threats, companies need speed, integrated IT solutions, segmentation (on-site perimeters as well as the virtual ecosystems in which company systems and data reside), and continuous evolution. China’s per-capita gross domestic product has risen 28 times in the past three decades, an illustration of the country’s transformation story. The One Belt, One Road initiative shows the willingness of China to invest in unprecedentedly large engineering projects, which is good for China’s domestic growth as well as the growth of nearby emerging markets. Individuals are no longer saving as much; instead, they’re spending, particularly on luxury items, including travel. This is not just the case for millennials, but the older generation as well. Contrary to conventional perception of China as the world’s largest manufacturing center, it is in fact one of the most innovative countries in the world, making strides in ecommerce, semiconductors, healthcare, artificial intelligence, and green initiatives. 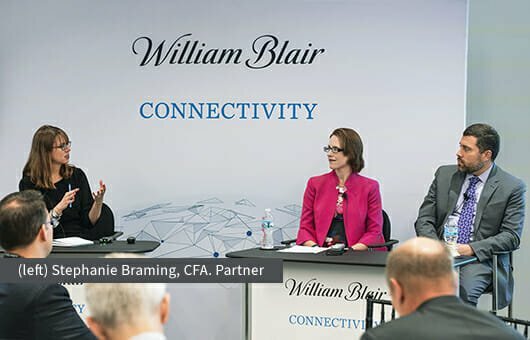 Integrating environmental, social, and governance (ESG) considerations with financial objectives expands William Blair Investment Management’s tool kit. Driving support for ESG considerations are institutions (including large pension plans, endowments, and foundations) and individuals (particularly millennials and women, who have higher interest in ESG investing and are controlling more wealth). A growing body of research debunks the idea that there is a trade-off between financial performance and good ESG practices. A Deutsche Bank study concluded that 90% of 2,200 ESG studies found a non-negative link between ESG and corporate financial performance. While green bonds require the proceeds to be used for environmental purposes, sustainability bonds allow for a broader use of proceeds (such as driving sustainable practices within a supply chain)—and both are priced similarly to general corporate bonds, but tend to have other attractive attributes such as lower volatility and reduced frequency of downgrades. Artificial intelligence isn’t just for start-ups; protein engineering company Codexis explained that companies in traditional industries are using it to revolutionize the development of new drugs, foods, and industrial products. The engineering of proteins—which facilitate chemical reactions in living organisms—enables the creation of the right protein for a desired outcome. Ten years ago, the design of one protein required 20 scientists working for one to two years employing highly manual processes. Today, two scientists can complete that same project in just months, thanks to artificial intelligence. Protein engineering was used to remove the bitter aftertaste from Stevia, a zero-calorie, all-natural sweetener extracted from the leaves of a plant native to South America. At our inaugural CONNECTIVITY client conference, we launched a poll to gather feedback from attendees on important issues. See the results of five questions that investors are facing today. 1. Which sector will be most disrupted by technology over the next five years? 2. What is your top strategy for managing risk? 3. Which ESG topic will be most important to you in 2019? 4. What is your top near-term concern regarding your investment portfolio? 5. Where are you expecting to allocate capital in 2019?